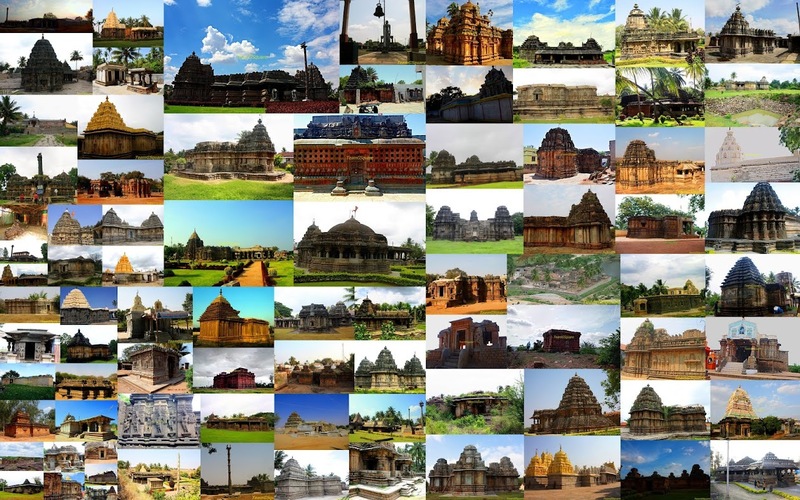 This is our humble attempt to compile the places we have visited in and around Bangalore. It may or may not be surprising to know that there more than 150 places around Bangalore which is worth a visit. 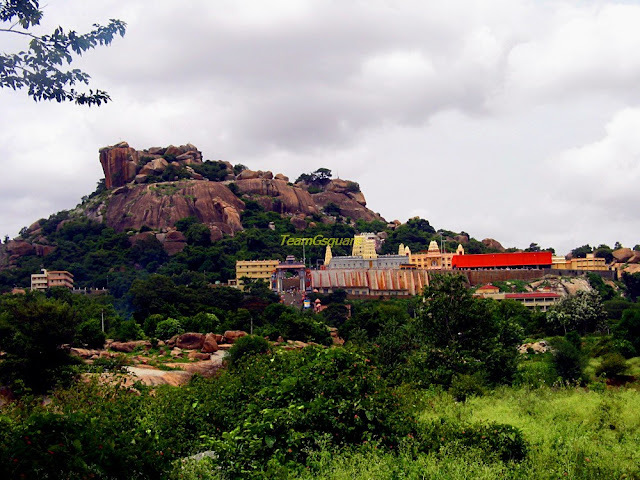 Places around Bangalore include Ramanagara, Chikkaballapur, Kolar, Tumkur and Mandya districts and borders of Tamil Nadu and Andhra Pradesh .This post is more towards providing information on the places that are rather unpopular and seemingly less explored. Hope this will let many of us appreciate everything nature offers. All the listed places are best suited for one day outing . 1. Carry lots of water and snacks. 2. Remember not to litter the place. Direction: Via Magadi road: just before you reach Magadi, take a left turn, then travel for 3kms ,take another left turn and travel for about 4kms to reach the destination . There are direction boards on the way for guidance. 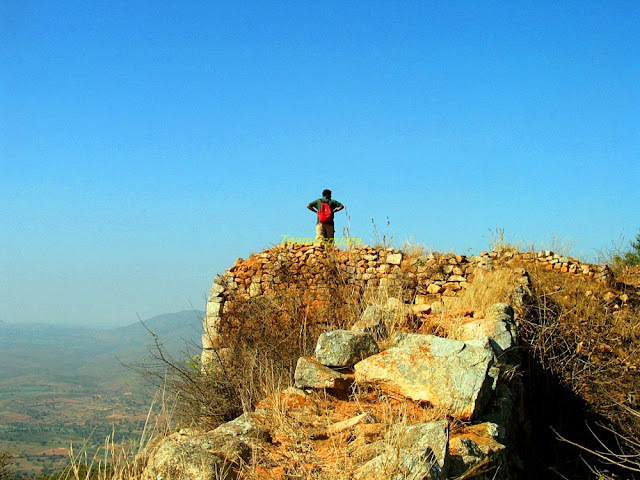 About : This is probably the most favorite spot among the regular trekkers in Bangalore . Savanadurga is considered as one of the biggest monoliths around Bangalore.There are temples and a forest garden at the bottom of the hill. There are also Fort ruins atop the hill which was built during Kempegowda times. There are a few water ponds on the way to the top. 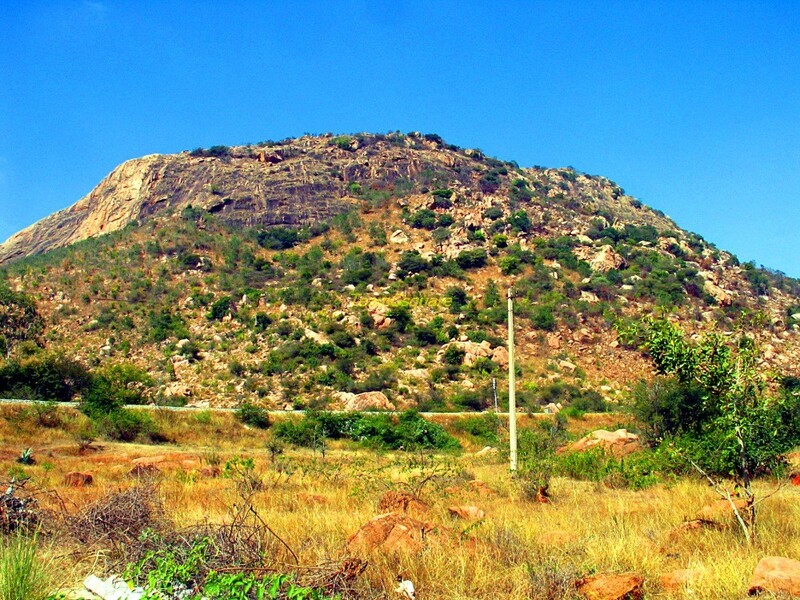 This place comprises of two hills called, Karibetta (Black Hill) and Billibetta (White hill), due to its appearance.This hill is surrounded by forest. One can have a bird's eye view of Magadi town, Manchinbele backwaters and the surrounding forests. The view is awesome. This trek will always remain close to our hearts , since it was our first trek. Direction: Via Tumkur road (NH4) : just before reaching Tumkur, you will find this place on your right side with its name painted on the hill. 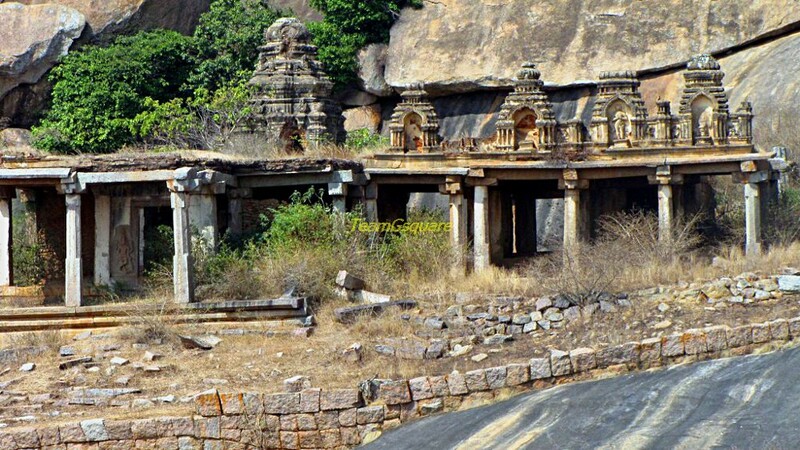 Landmark: There is an arch at the entrance and a weighbridge besides the arch..
About: There is a Jain temple at the top of the hill, a small lake besides it and a few ruined structures here and there. A huge lake is present behind the hillock (we are not aware of its name though) which is a good place to spot water birds. Direction: Via Hyderabad road (NH7): reach Chikballapur, then take a right turn and travel for about 1km to reach the destination . 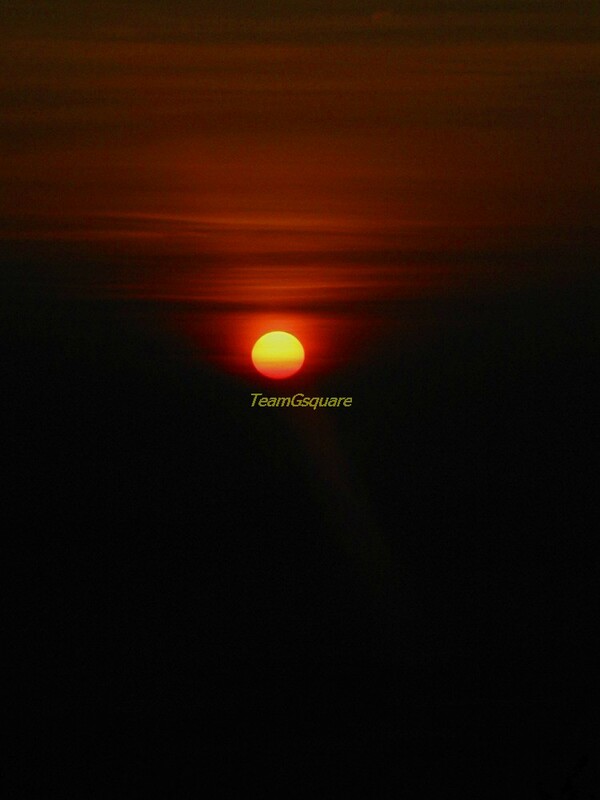 About: This is our only night trek till date.This place is famous for night trek, sunrise and clouds . There is a temple and a mutt at the base of hillock. One can find a lot of remains of fortification on the way to the peak. The Sunrise here is very beautiful. One can also view of Nandi hills from the top. Kindly carry a source of light while trekking during night. 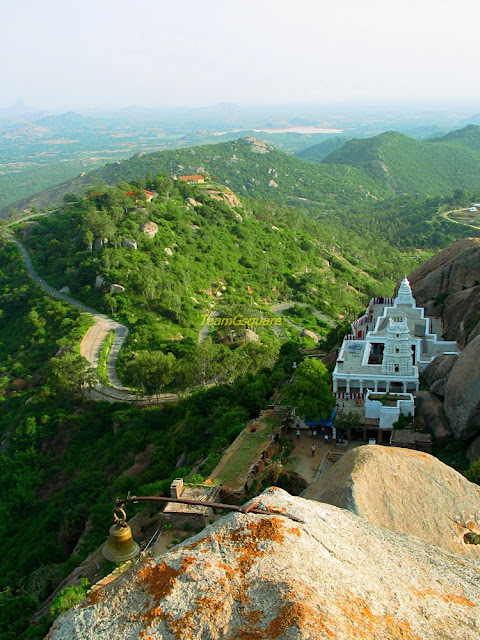 About: The rocky hills are surrounded by forests and the hilltops are dotted with several temples including the Yoganarashima and the Bhoganarasimha temples. 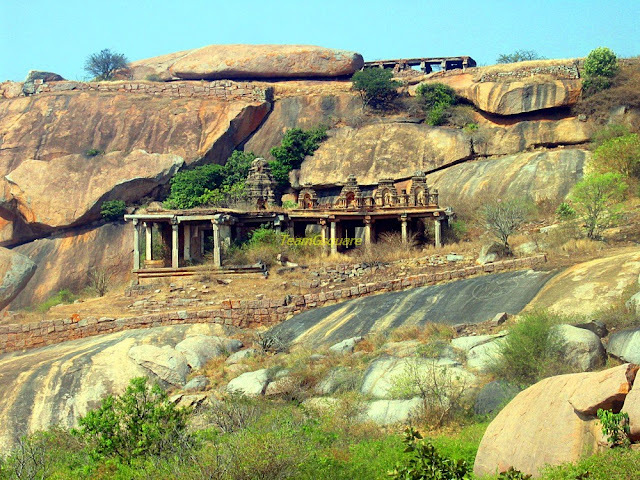 The Yoganarashima temple is on the top of the hillock and the Bhoganarasimha temple at the base . There are three sacred ponds or Kalyani's here, known as Narasimha-theertha, Parasara-theertha and Pada-theertha. Places nearby include Namada Chilume , myth has it that Sri Rama on his way to Lanka halted here. As he did not find water anywhere around to wet the "Nama" (a kind of paste Hindus apply on their forehead), he shot an arrow into the ground, and water sprung from there. Thus the name (Rama)-Namada Chilume. The spring can be still seen, and there is a foot impression of Lord Sri Rama next to it. There is a deer park in the garden of Namada Chilume. Another place worth a visit is the very famous temple of Mahalakshmi at Goravanahalli. Direction: Via NH48 Mangalore highway till you get Adichunchanagiri crossing, take right and travel from about 12 km . About: Major attraction here is the temple and mutt. 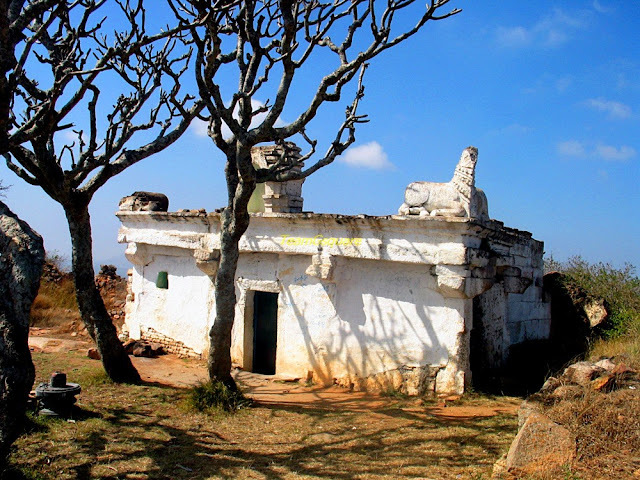 This place is considered one among the Pilgrimage sites of Karnataka. Very well maintained temple and good facilities for the lodging is available here.There is a provision for rock climbing with the help of chain and pegs at certain places.We heard that this place also has a peacock sanctuary. We tried looking around for it, inquired a few locals but in vain. On walking around for a long time in search of peacocks if any, we were lucky enough to get a glimpse of a colorful peacock. It was a pleasure to the eye. We also read that the forest department ran jeep safaris and made provision for trekking inside the sanctuary . This probably was a long time ago since we did not see any such facilities. Direction: Via Hindupur state highway reach Makali village which is about 12kms from Doddaballapur . Hillock is to the left side of the road. About: This place is very close to Ghati Subramanya. It is a 7 tiered fort out of which the remains of only 3 tiers are found today . There is a Shiva temple on the peak. There is another temple and two lakes at the base of hill. 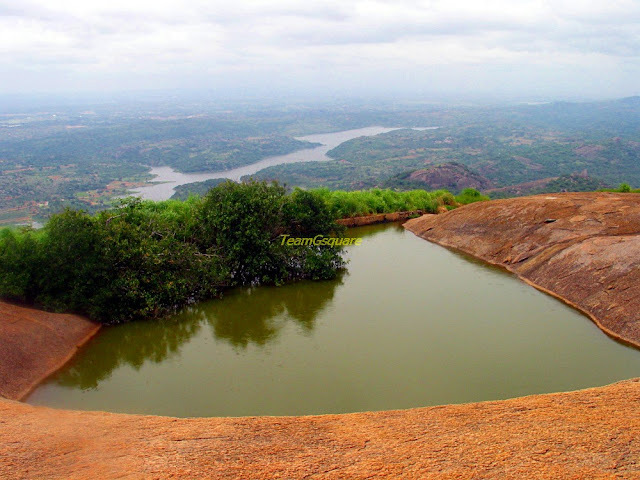 One can have a bird's eye view of Ghati Subramanya , the lakes and railway track from the peak . Direction: Via Magadi road: Travel till Magadi, then continue towards Kunigal to reach Hosapalya village which is about 8kms from Magadi, the take a left turn and travel 8kms further to reach Santepalya, take another left turn over the zigzag road to the base of this hill. About: This fort is believed to be built by Kempegowda (founder of Bangalore). This is a classic example of an 8 tiered fort, with major part of the fortification still intact. Yes its surprising .There are two fortified hillocks around this village. 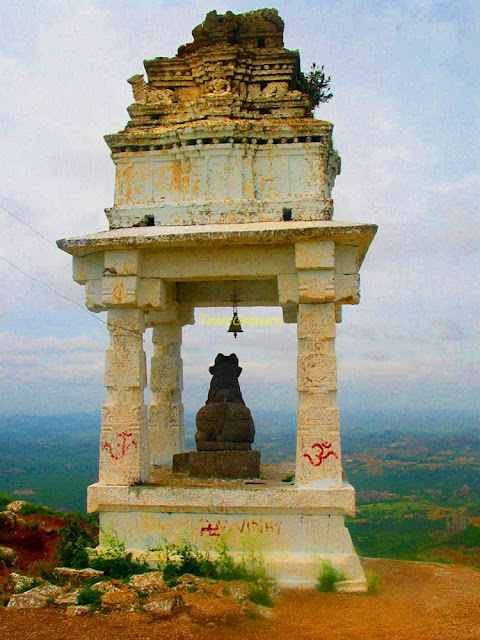 It has a small temple dedicated to Lord Shiva and Nandi. Puja to deities is performed only on Mondays and Fridays. 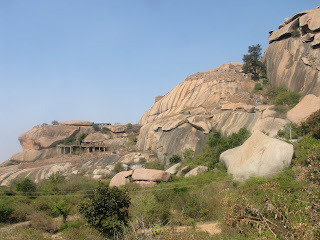 Despite being so close to Bangalore, very few people are aware about this place. Direction: Via Tumkur road : Cross Dabs pet flyover, travel for about 2-3km to reach this place which is on the the left side of the road. About: There is a temple and a mosque on the top of the hill. 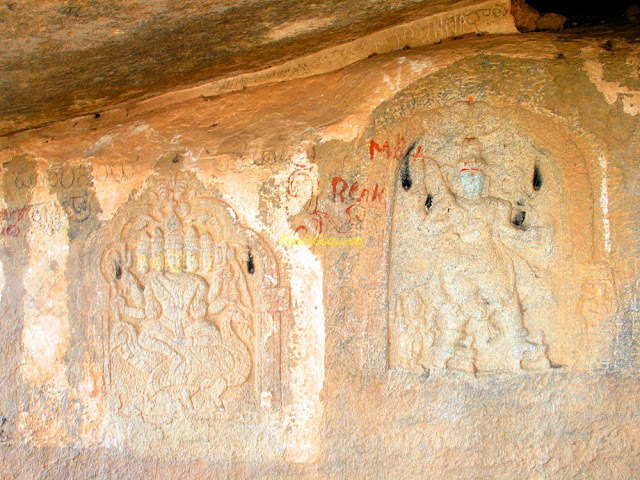 There are many cave temples. This place is a local pilgrimage center. Animal sacrifices to the deity is common here. The fort is believed to be built by Vijayanagara Kings, which was later captured by Hyder Ali, Marathas, Nayaks, and the British. Direction: Via Kanakapura: Travel up to Kanakapura , take a left turn till you reach Sangama. About: This place is the confluence of river Arkavathi and Cauvery. One needs to cross the river and walk for about 3kms or take any other mode of transportation available to reach Mekadatu (goat's leap). Nice place with lot picturesque hills surrounding the place. There is also a water fall nearby called Chunchi falls which is about 6kms before the Sangama. 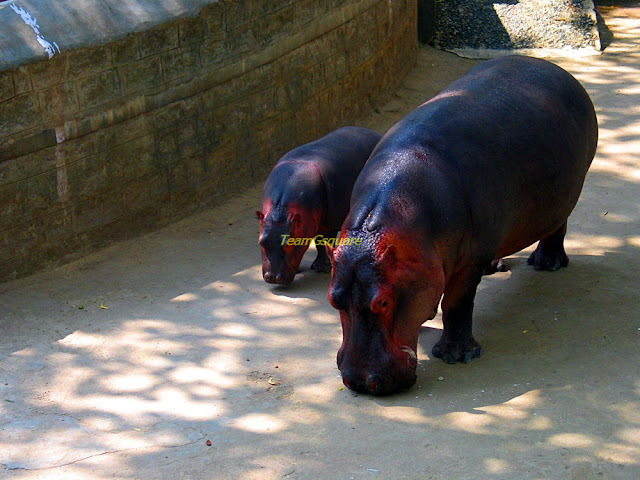 About: This place houses a zoo, safaris, museum ,butterfly park, and reserve forest. 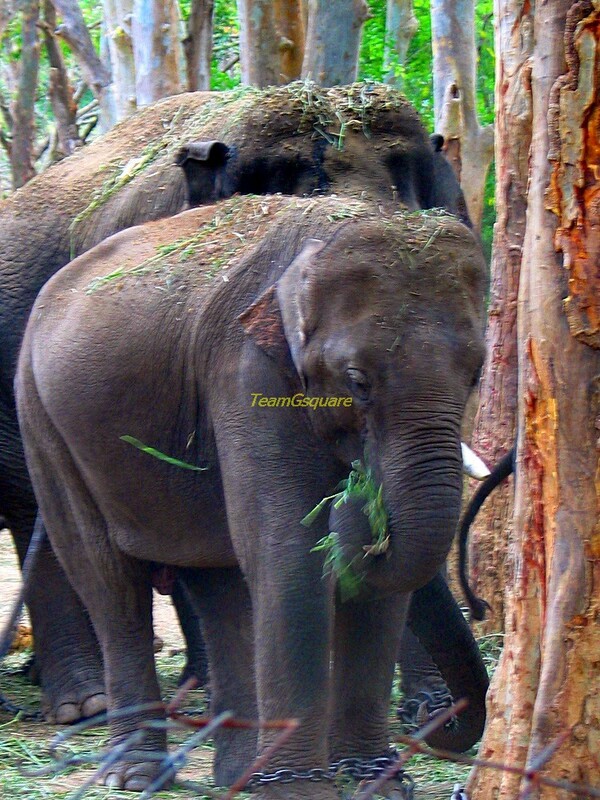 There are many places inside the national park apart from the safari and zoo to be explored such as the Swarnamukhi Falls, Doddaragi Betta, Chikkaragi Betta and the Mirza Hill. This place is well maintained and is a popular one in Bangalore. It is closed on Tuesdays . 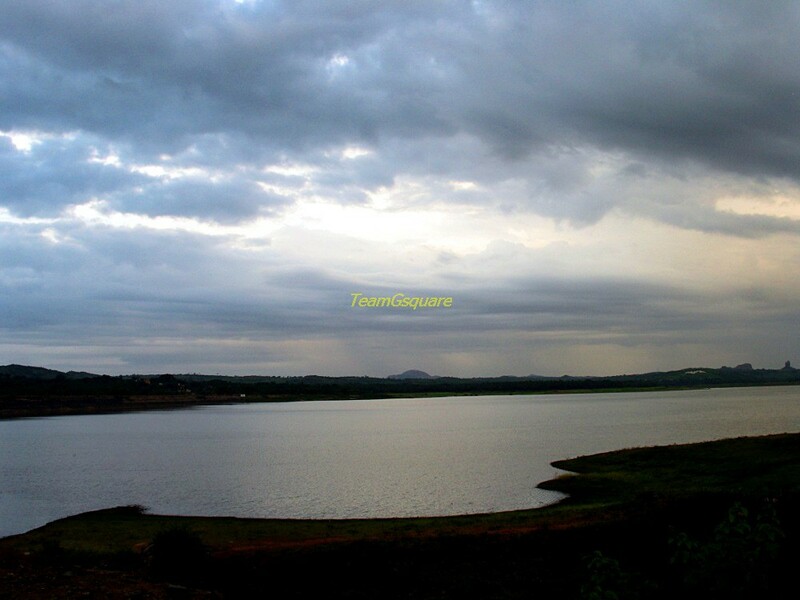 Direction: Via Mysore road: Travel till you reach Kengal ,take a right turn and travel about 8kms to reach the dam . About: This is an artificial lake . 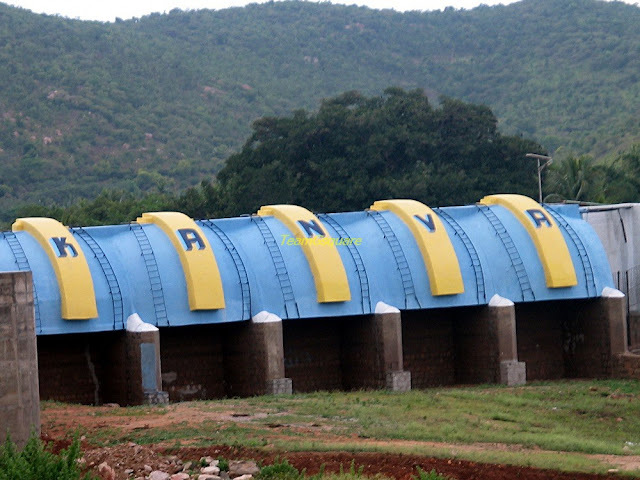 A dam constructed across river Kanva forms the reservoir.It is a good place for bird watching. There is a temple in Kengal dedicated to Lord Hanuman which is also worth visiting. Direction: Via Mysore road: Travel up to Rajarajeshwari Dental college. Take a right turn and travel about 6 km to reach this place. About:There is a huge Banyan tree which is believed to be around 400 years old. The area is about 3 acres. Hi, The weekend getaways is a good list, u guys are doing good jos. Please post as many places as possible, it will be useful. Thank you Man , Sure will update with few more places . The information is really helpful and a lot of effort has been put into it. I took lot of information from your blog to visit these places. @ de guide , Thanks for the additions , will sure update these places as and when we visit . I don't know whether you are a one man show or a team. But whatever, the blog is beautiful, content top class and photos stupendous. Starting from your latest entry I went through all till i reached the first post. Good man, very good. I am an admirer of this blog now. @ Rajesh , we are a team of two . Thanks for those lovely encouraging words . Excellent images and wonderful writeup. @ Arti , for sure that's the sole purpose of the blog . @ Spicy sweet , thanks for the comment . @ Abhi , your always welcome . Awesome mate! You did a wonderful job in compiling all the lovely places around bangalore. I was one of those enthusiasts who covered some of these places on motor bike when I was in bangalore 3 years ago. Looks lovely. Thanks for putting it up. Excellent Information & loved the photos too......!! !